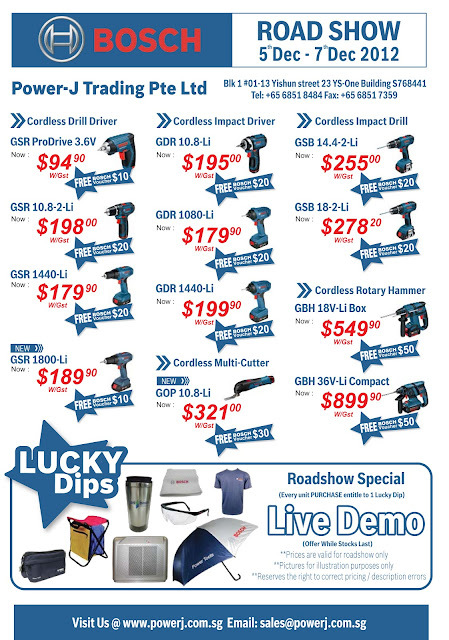 Power Tools Singapore: Power J Bosch Promotion Flyer! Singapore's go to blog for the latest news on powertools and equipment for DIY enthusiast. Power J Bosch Promotion Flyer! Check out Power J Bosch Promotion Flyer! It's happening in less than a week! Copyright 2014 © EStore Singapore. Awesome Inc. theme. Theme images by DNY59. Powered by Blogger.